Back in December, a protective Jesper Parnevik suggested Elin Nordegren Woods clobber her husband with a driver instead of a 3-iron (or 9-iron depending on which version of the “real” story you believe). 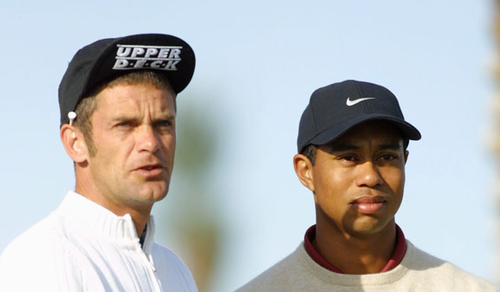 Understandably, Parnevik made the provocative comments in defense of Elin, his former nanny who he introduced to Tiger. Translation: He knows the status of the Woods marriage, but doesn’t want to be blamed for leaking any insider information. Naturally. I’m sure that will be pleasant. And I’m sure the PGA Tour will not do everything in its power to delay the encounter. But when (or if) it does — it has the potential to be more interesting than a Manny Pacquiao vs. Floyd Mayweather showdown. Get your (video) cameras ready.